Will we have a “Superbowl Monday?” My little boy and I read all the facts on the Superbowl and what will entail to make it go on as planned. Machines to melt multiple thousands of tons of snow, heat lamps, plows and machines to salt (can I have the heat lamp please?–a heat lamp over my house might nice. I could do year round summer). Whether it’s Superbowl Sunday or Monday it’s time to plan your Superbowl 2014 menu. We’ve learned that it’s essential at any Superbowl party to have a balance of grab and go snacks and appetizers. Quick second and third trips to the buffet table are necessary. You don’t want to miss any of the game or the commercials! 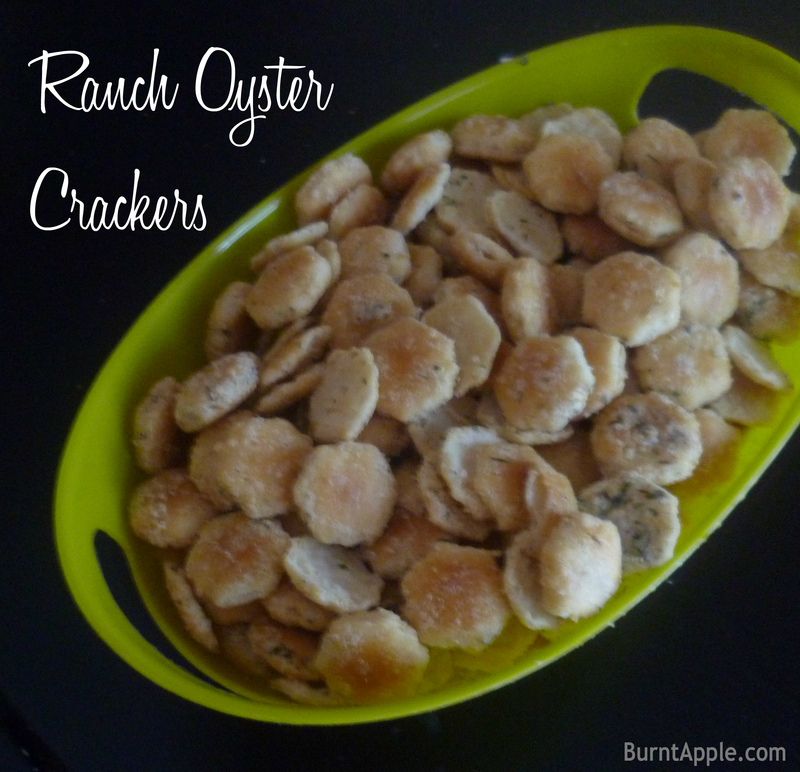 These ranch oyster crackers are the perfect grab and go snack, taste great and will take you just a few minutes to whip up. You can also put these in an airtight container and send them in the kids lunches on Monday too. That would depend entirely upon if you have any crackers left over though. Enjoy your Superbowl festivities and keep on coming back this week as we are going football crazy at our house this week! In a bowl, mix together the ranch dressing packet, oil and dill weed. Stir to combine. 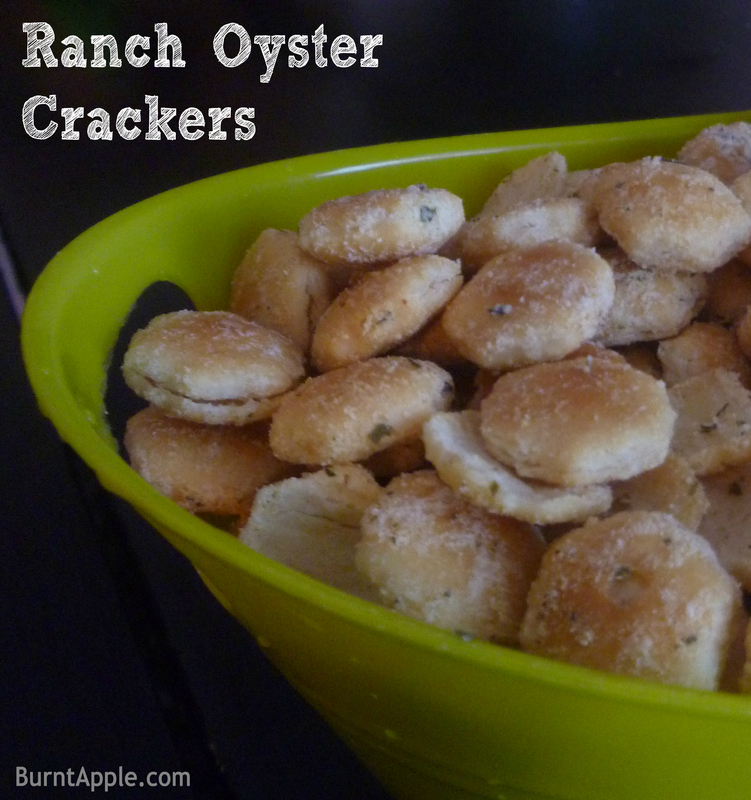 Add in the oyster crackers, tossing to coat evenly. Pour the crackers onto a baking sheet and place in a 250 degree oven for 20 minutes. Stir once during cooking. Remove from oven, allow crackers to cool completely before placing in an airtight container to store. Crackers will stay good up to one week.